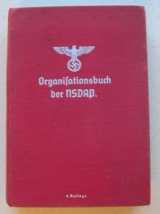 Background: The Nazis developed an wide range of badges, party medals, flags, banners, rank insignia, etc., which they took very seriously indeed. This page includes illustrations from the 1937 edition of the party handbook of rank insignia, flags, banners, badges, etc. 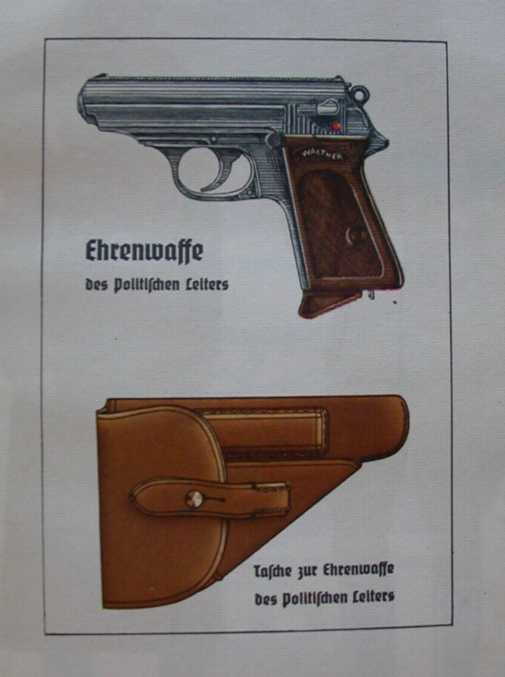 A separate page on this site includes illustrations of Nazi uniforms. 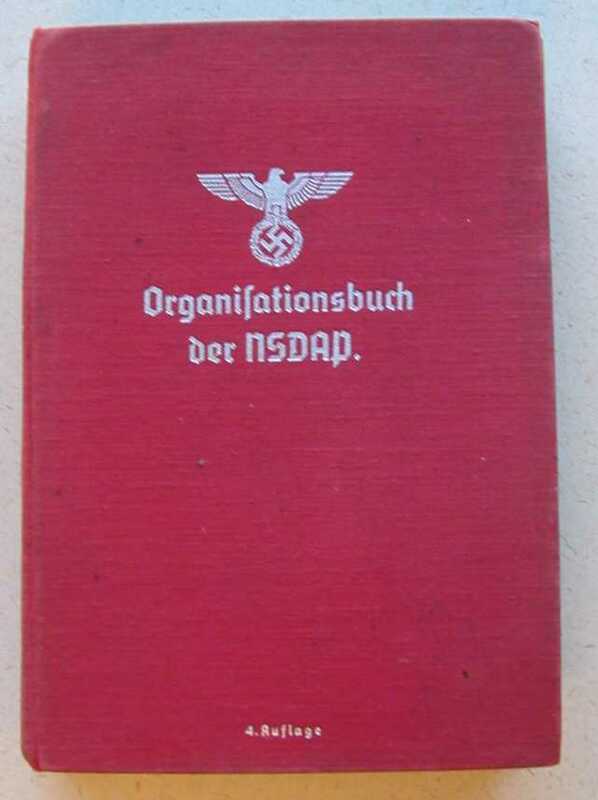 The source: Organisationsbuch der NSDAP, 4. Auflage (Munich: Franz Eher, 1937). 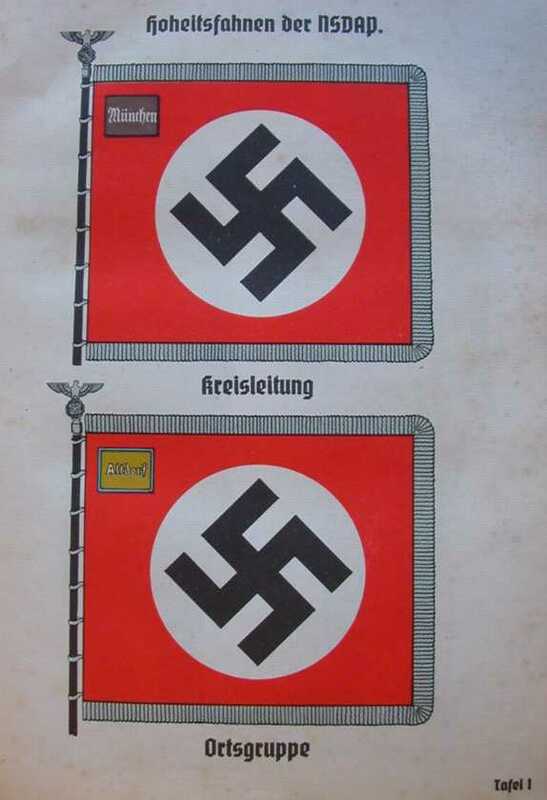 The top flag is for a Kreisleitung, the bottom one for an Ortsgruppe. 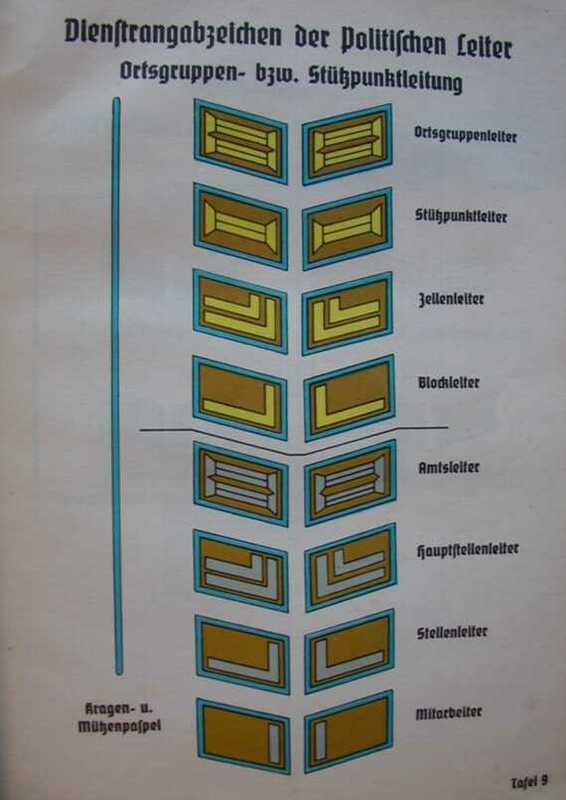 These are the shoulder tabs designating the ranks of officials in a Gauleitung. 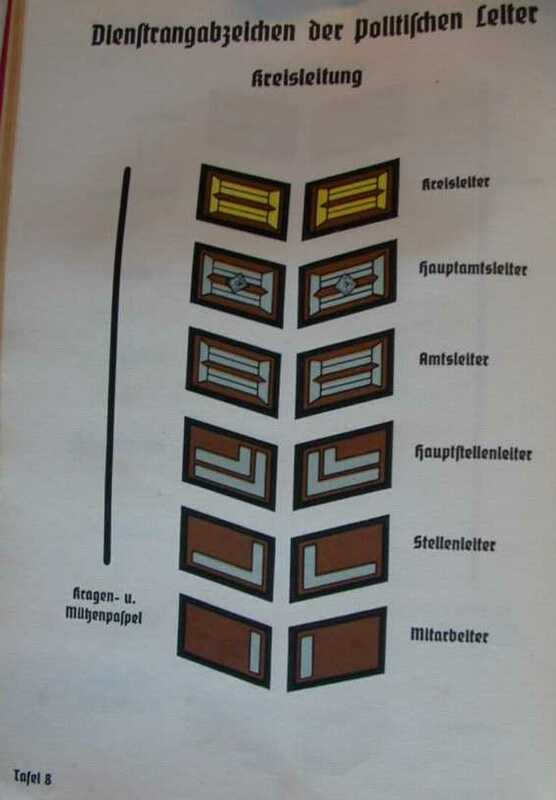 These are the shoulder tabs designating the ranks of officials in a Kreisleitung. 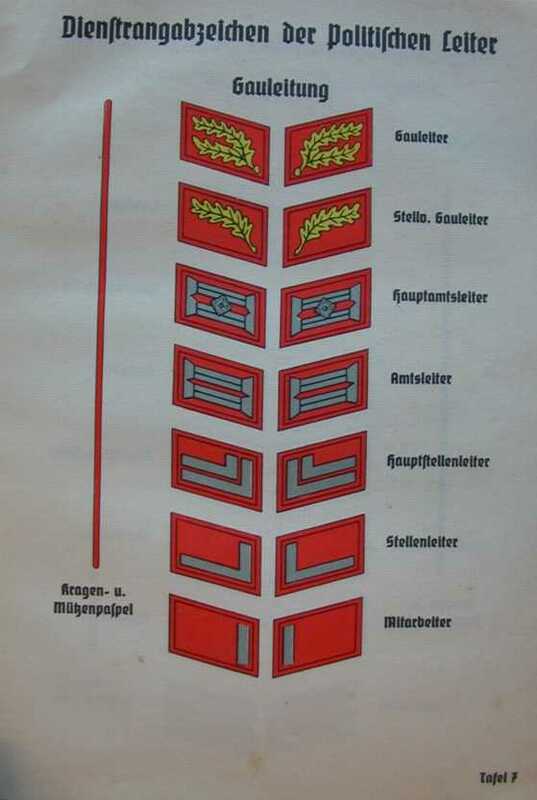 These are the shoulder tabs designating the ranks of officials in an Ortsgruppe. The top is the Golden Party Badge, given to early party members. 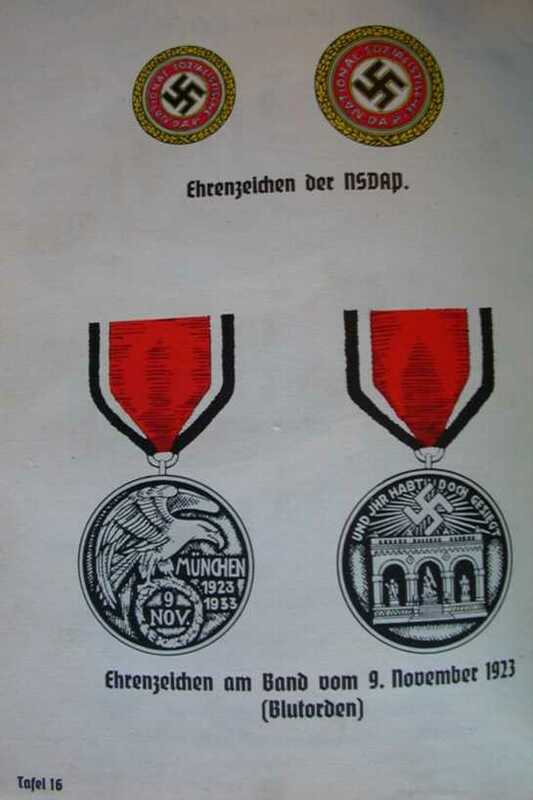 The lower medal is the “Blood Order,” the medal given to those who had marched with Hitler in his abortive 1923 Putsch. 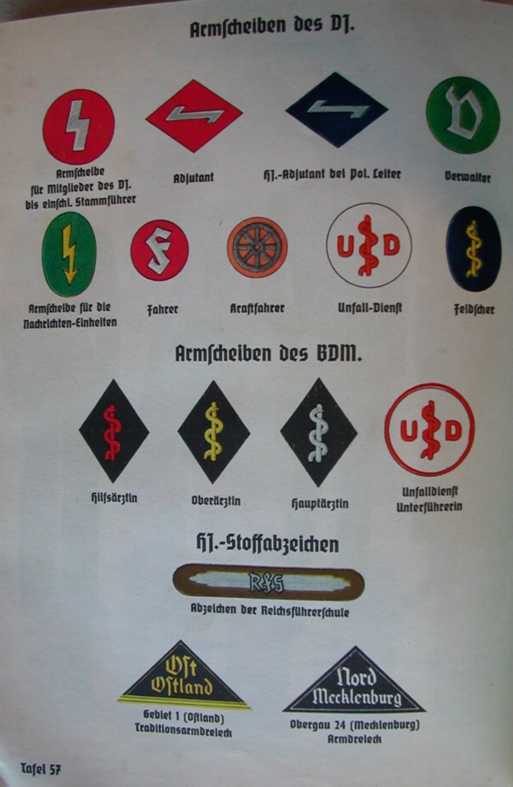 These are the badges for major Nazi organizations (e.g., the Hitler Youth, the BDM, the student association). 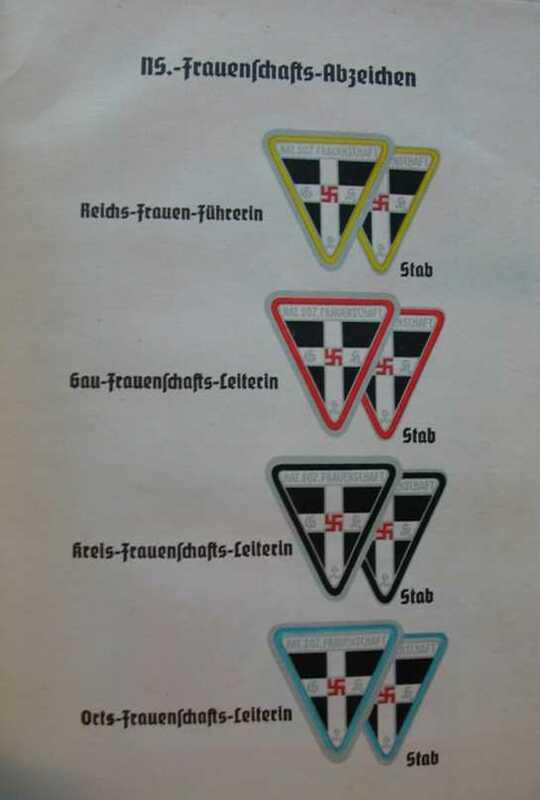 These are insignia of rank for the Nazi women’s organization, the NS-Frauenschaft. 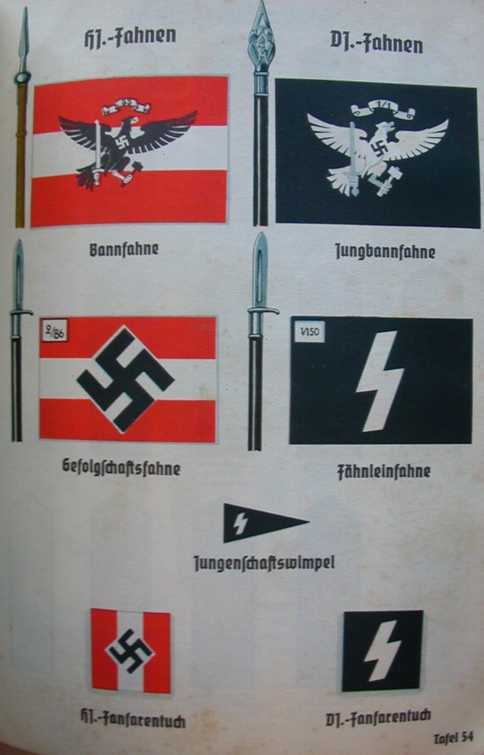 These are banners for various parts of the Hitler Youth organization. 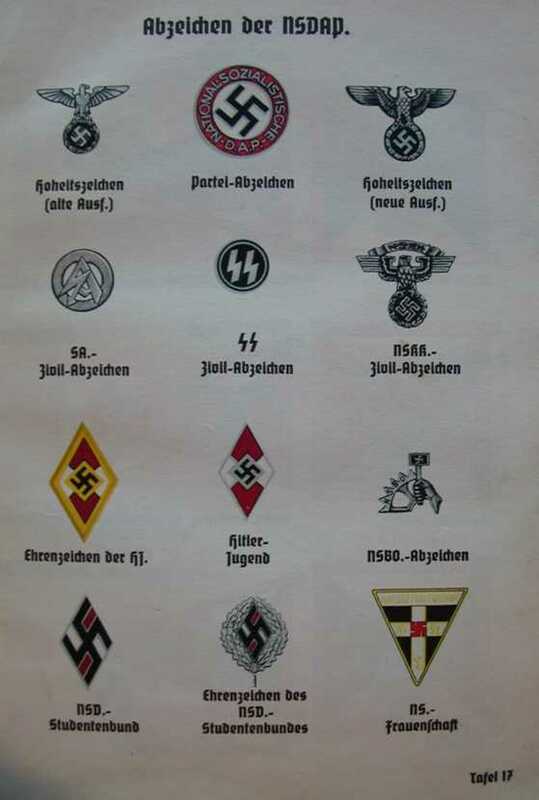 These are badges for various parts of the Hitler Youth. This is the “honor pistol” that party officials were allowed to carry.